A$AP Rocky is set to release ‘Peso’ as his debut single in the UK on A$AP Worldwide/Polo Grounds/Columbia Records on 19th February. 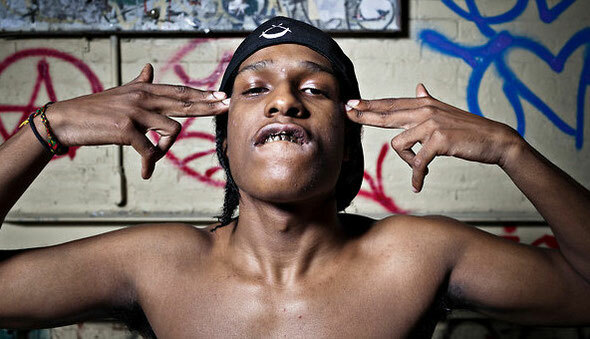 A huge buzz has already began to build around the 23-year old Harlem native, born Rakim Mayers. 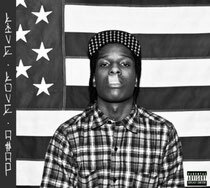 The release of his highly acclaimed mixtape ‘LiveLoveA$AP’ in 2011, which included ‘Peso,’ prompted a fierce bidding war amongst labels eager to sign him. Within weeks ‘Peso’ had received airplay on the high-profile New York radio station Hot 97 before coming to the attention of Fader Magazine, Pitchfork and Stereogum. The New York Times recently declared the mixtape to be “placeless and universal, an album that sounds as if it has ingested the last 20 years of hip-hop’s travels and would be comfortable anywhere.” Soon after, A$AP Rocky was asked by the US rapper Drake to accompany him on tour in America and he most recently featured on the BBC Sound of 2012 poll.